Is Your Content Marketing Proving a Real Generator? Are you looking for a way to put your business in the spotlight time and time again? If so, then content marketing is the way to go! The phrase “content is king” has been tossed around a lot the past decade and for good reason. Online content in all of its various forms is one of the best ways to generate leads and visibility for your business. According to a recent B2C marketing study conducted by the Content Marketing Institute, 93 percent of large and midsize companies use content marketing as part of their marketing strategy. 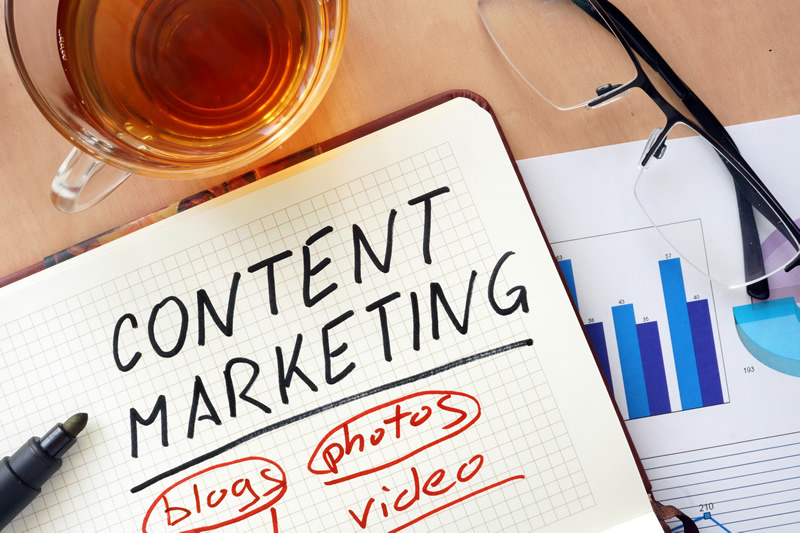 Additionally, 95 percent of small businesses and 78 percent of micro-businesses use content marketing regularly as well. As a result of content marketing, businesses across the country are experiencing substantial increases in customer interaction and leads. Nearly 66 percent of businesses report increases in web traffic and 27 percent report increases in sales lead quantity. So, with these numbers in mind, how can your business use content marketing to its advantage? One of the most popular forms of content marketing is blogging. By adding a business blog to your website, you can engage with customers on a regular basis through brief yet informative posts. Whether you want to concentrate on a specific service or product your business offers or you want to talk about your industry in general, blogging is an effective marketing approach. As an added bonus, you can share your business blog posts on social media, thus increasing your social visibility. As the following article looks at, if you’re wondering how to generate more leads than ever in 2015 with content marketing, then start thinking infographics. That’s right; infographics are popping up all over the web as a quick and easy way to inform audiences on just about anything surrounding your brand and industry. Infographics are great for listing statistics and concrete industry information. Likewise, infographics are heavily influenced by, you guessed it – graphics, which makes them more visually engaging than plain text. Considering online attention spans are dwindling at a rapid rate, it’s more important than ever before for your marketing content to stand out among the crowd. That’s exactly where online videos come into play. Video will capture your audience’s attention more so than any other form of marketing content. However, you need to make sure each video you produce is engaging, informative, and well made. Once you get the ball rolling with your business videos, you can create a YouTube channel and share you videos on your website and through social media. E-newsletters are a great way to keep your current customers informed about your business’s products and services. Most businesses send e-newsletters on a weekly or monthly basis that cover topics ranging from upcoming business events to product updates. E-newsletters are a subscription-based form of content marketing, so there’s a little more legwork involved to get potential customers to sign up. From videos to business blogs, content marketing truly does generate more attention for your brand. About the Author: Adam Groff is a freelance writer and creator of content. He writes on a variety of topics including marketing and customer outreach.